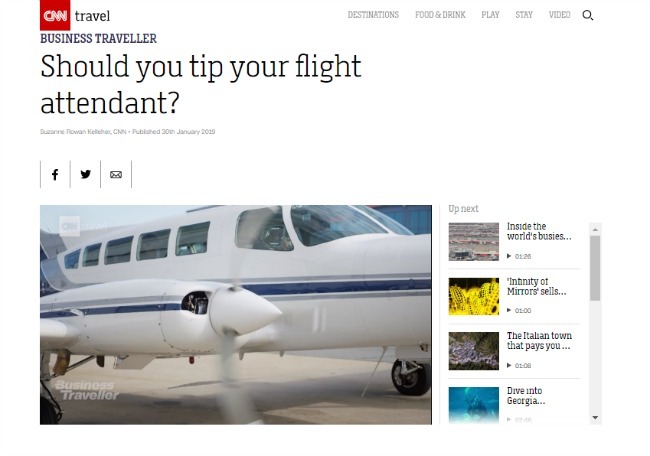 Freelance Travel Writer : CNN Travel: Should You Tip Your Flight Attendant? CNN Travel: Should You Tip Your Flight Attendant? Read the story on CNN Travel.